It’s an exciting time to be working with a cloud service provider. Forbes projects the cloud computing market to be worth a whopping $162 billion in 2020, a drastic increase from its $67B watermark in 2015. There are a lot of benefits to hiring a cloud provider, but some are more valuable to the industry than others. How much experience do you have in my industry? It’s an obvious question, but sometimes when people are dealing with a high tech industry they forget to ask the classics. Not all cloud solutions are built the same, and a solution for an insurance industry is different than one for healthcare which is different than for a law firm. If the prospective cloud provider does work with CPAs, ask for references! Any provider worth their salt should have several client references ready to go the second you ask for them. Where will my data be stored, and will it be safe? If you’re trusting your data with a third party, you better know where that data is being stored. The great thing about hiring a private cloud company is that they can show you exactly where your data will be housed. Is it in a small back room in the corner of the building, or is it going to be in a large and professionally tailored data center in the center of their offices? Make sure they also answer what protections they have in place that their servers will be protected from hacking attempts, natural disasters, theft, and any other problem you can think of. Will you monitor my network all day, every day? 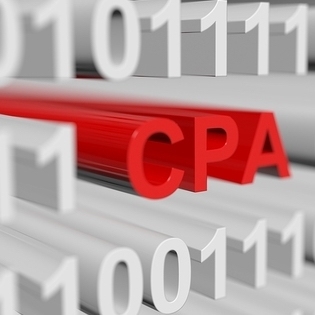 The confidential information CPAs hold is very lucrative to cyber criminals. Whether they use it to buy clothes and accessories on someone else’s dime or turn around and sell it on the dark web, hackers stand to gain a lot of money from attacking a CPA firm. Hackers don’t clock out at 5 p.m., you need a cloud provider that will monitor your network 24/7/365 and make sure any attempted breach of your network is instantly seen and taken care of. Are you transparent about your financial stability? Cloud computing is a booming industry, which means there are an unsustainably large number of startups and smaller cloud providers. Try to find a provider that is transparent when it comes to corporate debt and future operational viability. What is the process if I decide to leave? Nobody wants to think about a breakup, but it happens and you need to be sure that your data is safe if you decide to end your business with the cloud provider or change to a new one. There is an entire process cloud providers must do that include properly transferring your data and destroying their copy of your data. You do not want your confidential client information sitting around in an old server that no one pays attention to anymore! Now that you know the must-ask questions for a cloud service provider, check out TOSS C3’s services to learn how we can improve the efficiency and security of your CPA firm. Furthermore, try out those five questions on us by calling 1-888-884-8677 – we think you’ll like the answers!